Every agency has its own Conflict of Interest Code. Appendix A of those codes, list designated positions that make or participate in making decisions that may have a financial impact on the individual or agency. Positions listed in Government Code Section 87200 (i.e. City Councilmembers, Planning Commissioners, Members of the Board of Supervisors, etc. also known as 87200 filers) are not required to be included, because these positions automatically file Form 700. 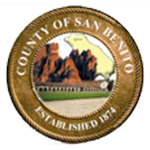 In San Benito County, the agencies with Conflict of Interest Codes are grouped by their parent Entity. Click on the Book below to see the designated list of positions for all agencies within that entity.